Tis the season to opening our doors and basking in the warmth of each other. I began creating this wreath to place on my father's grave. I wanted a piece of us and his Canadian homeland, to grace his grave in the states. 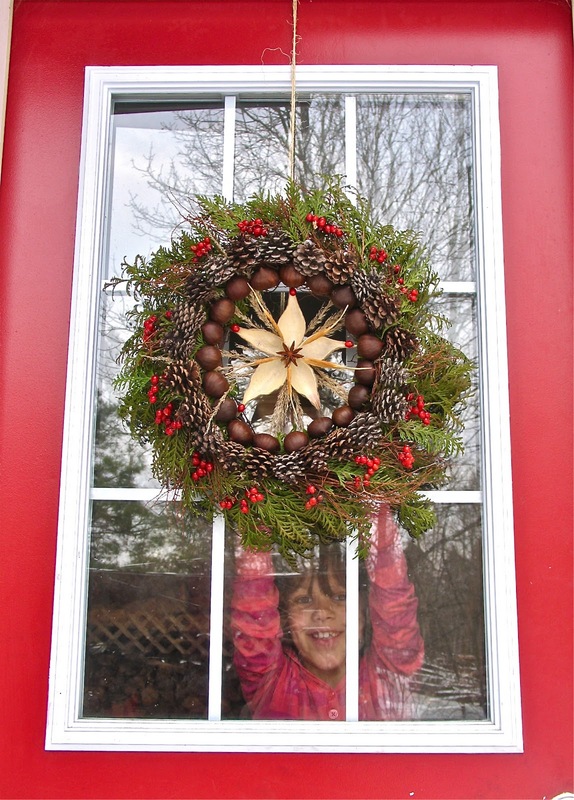 As the wreath came to life I decided that it would adorn my door first, filling up on the love and wonder this season offers and then travel to lie with him in his resting place. The idea comforts me ~ a simple offering to feel connected in our separation. 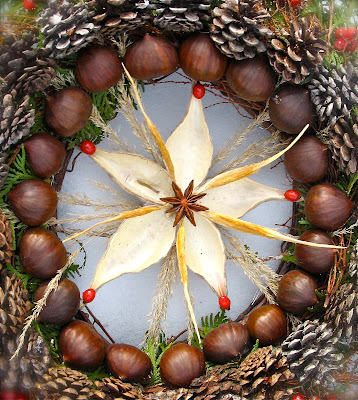 To begin gather up your twigs, floral wire and grapevine wreath. 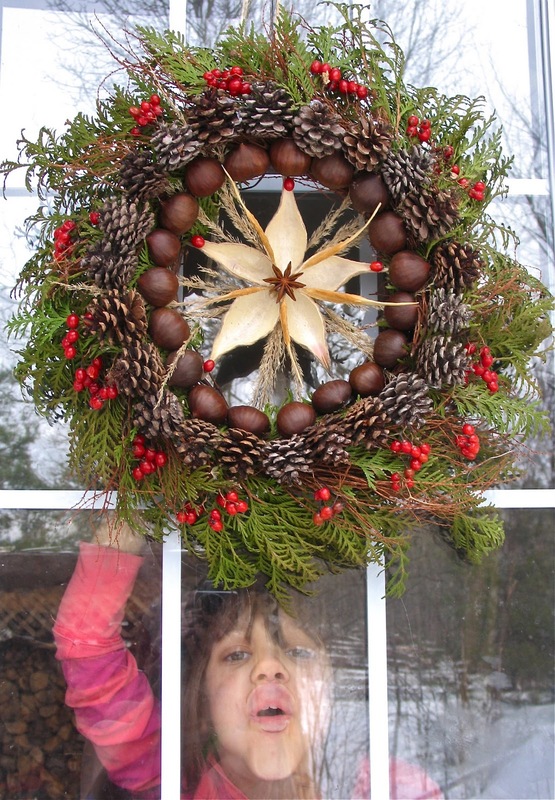 Following these instructions create your twig wreath. Next add your cedar boughs with a dab of (glue gun) glue until all wire is hidden and your wreath looks flush. 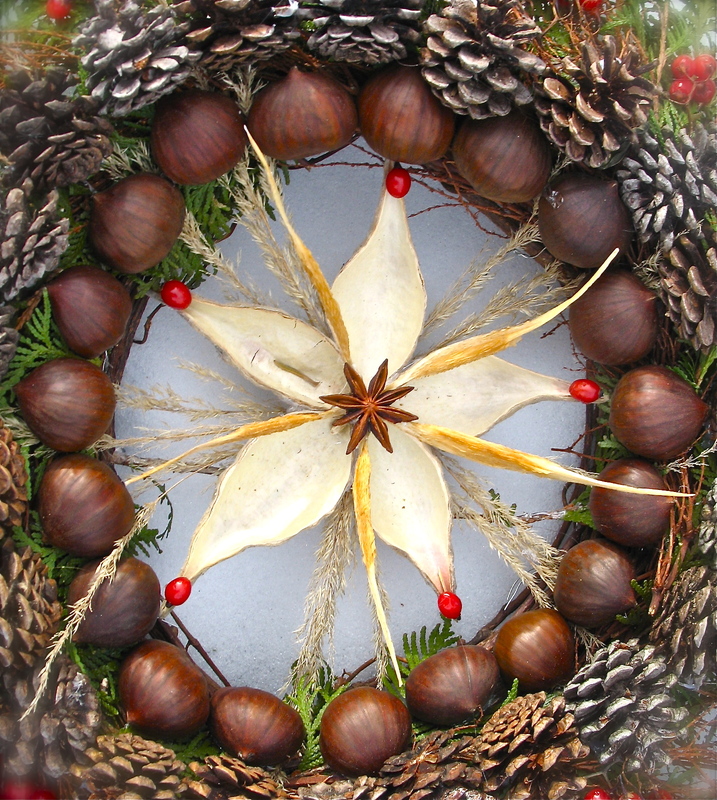 Glue chestnuts around the inner center of your wreath. Glue pine cones around the chestnuts. For the center ~ Glue milkweed pods into a star shape. 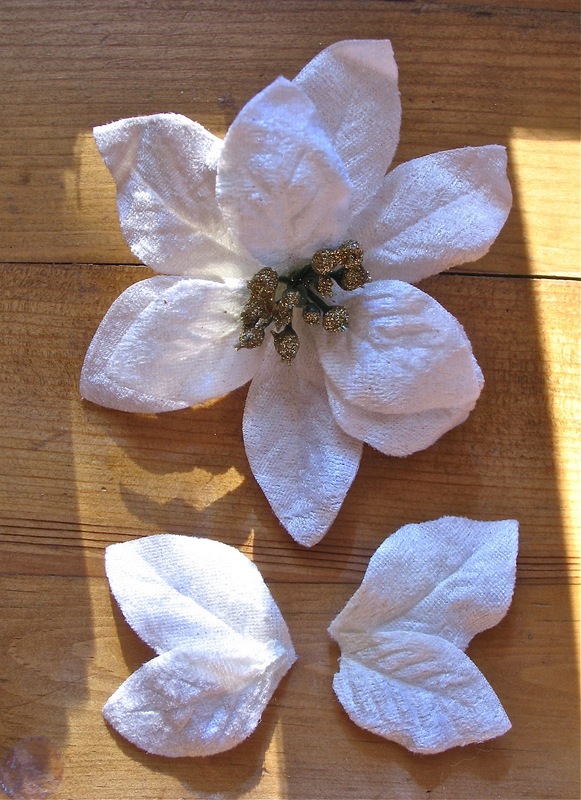 Add their center strips into the star and place a piece of star anise in the center. 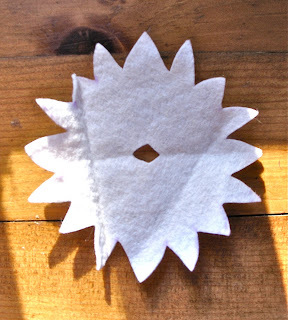 To attach in the center, glue a thin stick across the inside of the wreath and then glue your star to that. Here it shall fill to the brim with all the comings and goings of this magical season. 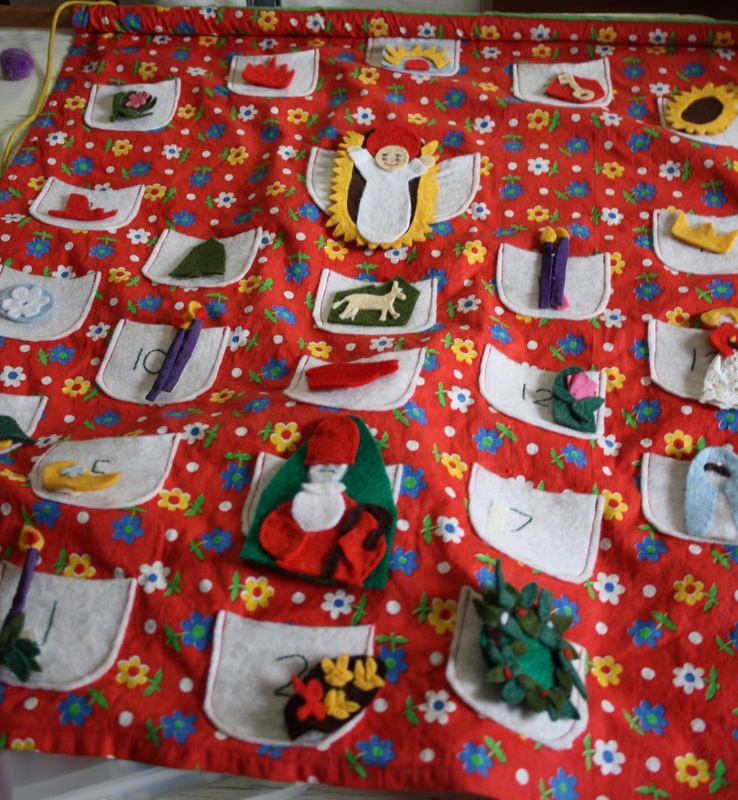 This is the first season where we will be trying to celebrate a traditional advent. I was raised Catholic and I remember this tradition with fondness...the lighting of the candles week after week leading up to Christmas, the nativity slowly coming to life, and the magic of this season. Yesterday we had our last craft class at my house. 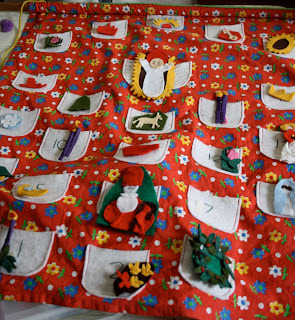 Beautiful mama Leslie brought along the advent calendar she used for her own children. There are 25 pockets, and each felt piece lives in the pocket and emerges day by day. 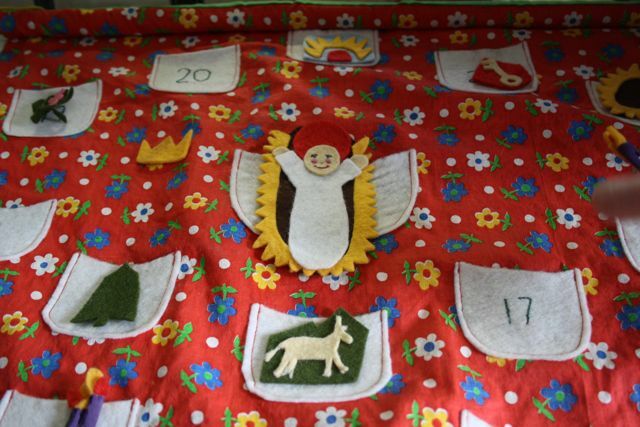 I think this is just one of the loveliest Advent calendars I've seen. 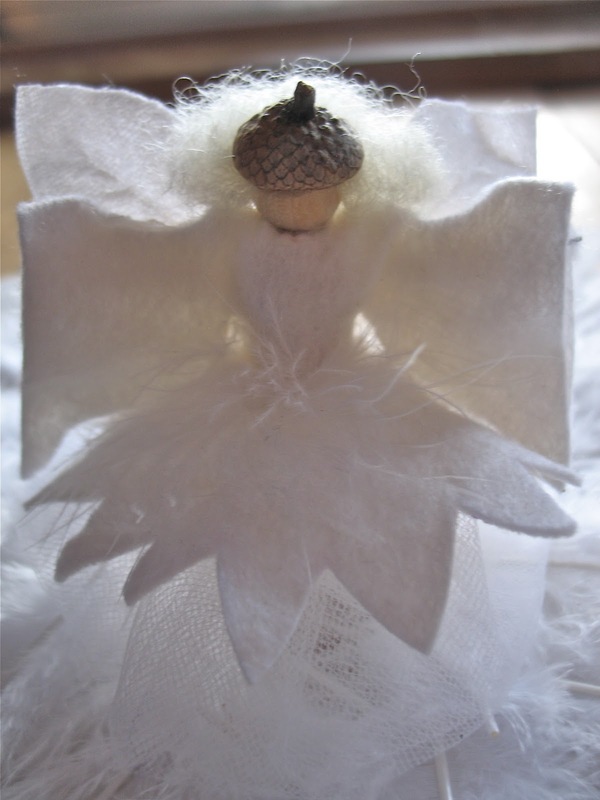 and the Christ child for Christmas day! I think this was the BEST Advent Stick yet...as our craft skills continue to grow, and we share in our creativity...our children LOVE this Advent tradition, and it is our gift as friends to each other. Each day one package gets ripped off the stick until Christmas day. Here are my wise men...one more headpiece to go! 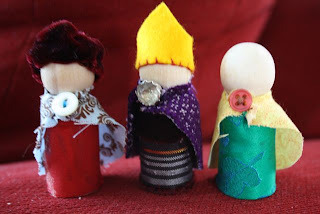 They were simple to make...peg people covered in colourful cloth, a cape and then crown or head wrap. And here is Mary, Joseph and a shepherd. 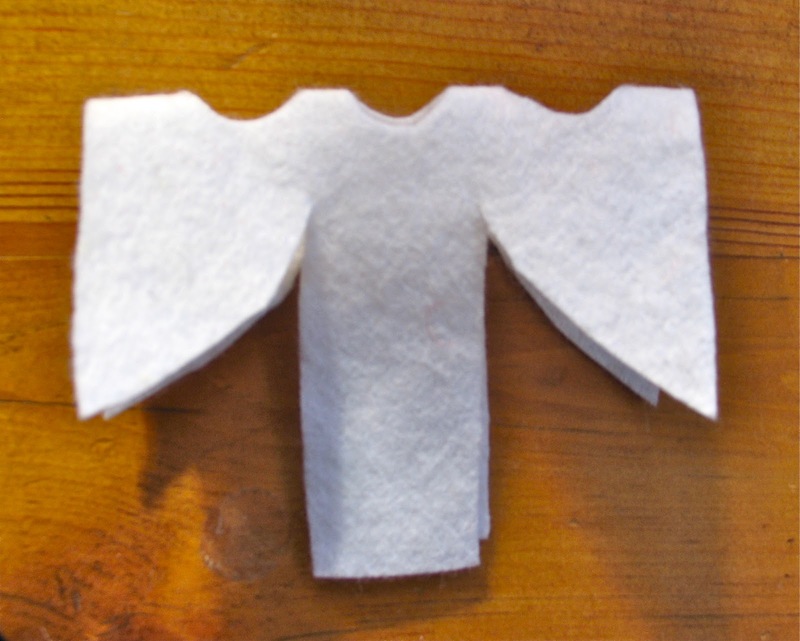 Essentially made the same way as above, but with a longer headdress. The head dress is made from a large oval of fabric, do a gathering stitch in the shape of a circle and then gather it up...glue it on the head and that's it. Hair and beard are wool roving. 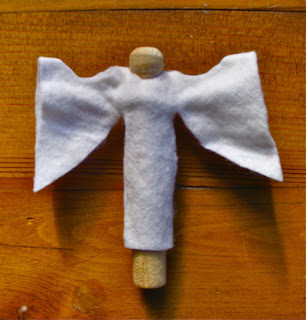 I'm excited at the prospect of having a little Nativity set that is mama made! 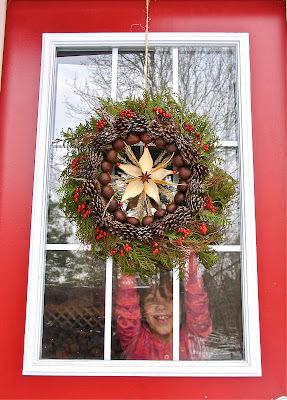 the Parenting Passageway...there are some great posts there to help get you started on your own Advent celebration. 'this the season of celebration and creating tradition! PS...don't forget about our giveaway!!! We will close comments tomorrow night at midnight, so go and enter now. You can enter once daily, the only thing you have to do is tell us your favourite item in our big cartel shop. And from now until December 8th you can get 15% off in our shop with the code "toadstool". Good luck to all who enter. We'll announce the winner on Wednesday morning! Such fun! 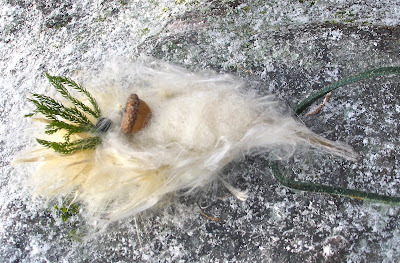 My girls love playing with the winter family ~ I'm not sure who loves it more though (them or me ; ) I always seem to get swept away with my fae creations as they come alive beneath my fingers! Queen Winter instructions are here. King Winter is basically the same except I cut him out a felt hooded cape and added some other embellishments. 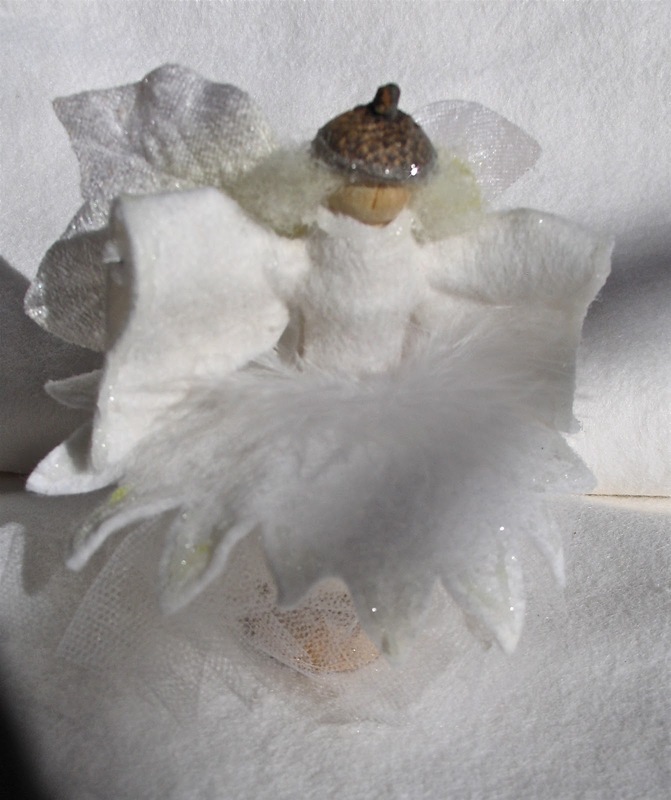 Babe Winter is a pipe cleaner piece glued to a small acorn and then wrapped tightly with white roving. Her sleigh is a milkweed pod stuffed with lots of milkweed fluff for cozy warmth. 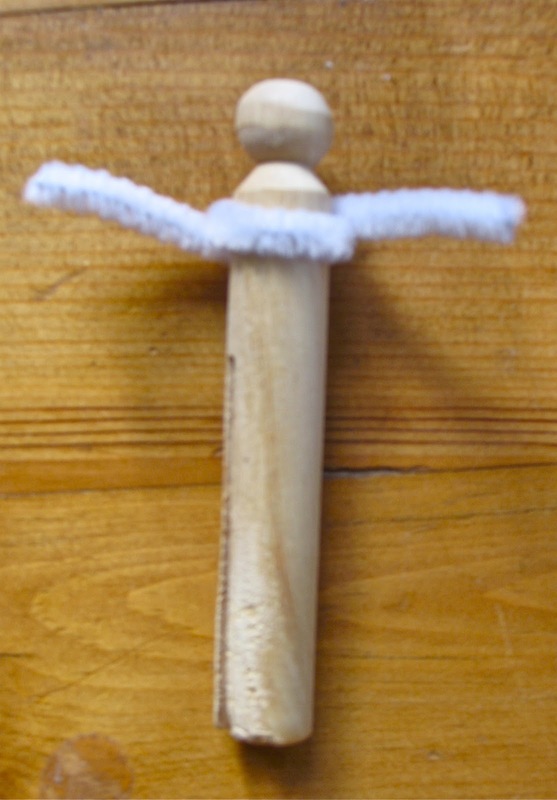 Many years ago while perusing the internet for great Advent ideas, I came across the "Advent Stick". 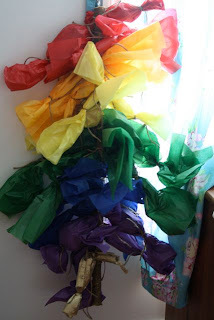 I don't remember the original source, but the idea was to gather friends and gifts and create an advent stick together. 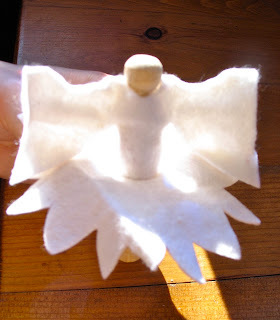 I put the idea out there and gathered up some of my crafty friends, (some folks have dropped out and some have stayed.). This will be our 4th year we're still crafting these sticks together. It is a tradition that we all love and that our children look forward to. Every year you smile as these treasures come out of the Christmas box, and some are just so much fun they stay out year round! Each friend crafts 5 items times 5 people. We always give people an "out" if life gets too busy...up to 2 items can be store bought, or a food treat. Here are my contributions for this year...it's a little "set" of Christmas gnomes gathering around a fire. I got the great idea for the fire pit from woman wife momma. 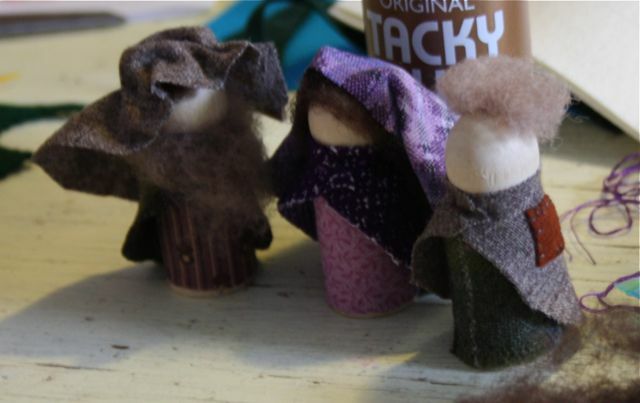 The gnomes were made using the pattern from Wee Folk Art. 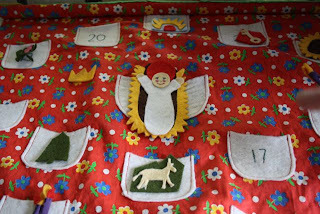 Here's a close up of the back of their capes...I simply cut out some holly leaves and berries and glue gunned them on...I must say, they do look rather festive! We were supposed to put our sticks together last night, but hailing ice pellets got in the way of our fun. My friend over at Wabi Sabi Wanderings posted a picture of last years stick, (we were hoping to do a rainbow stick this year, but may just have to settle for getting the darn thing together. 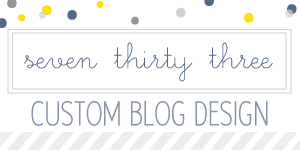 the Knitty Gritty Homestead, Embracing the Now, and of course my lovely co-blogger Shanti! 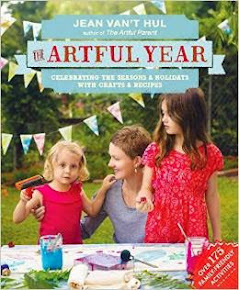 This is another fabulous way to get your crafting community to come together in the JOY of creativity! Now off to gather the other folks contributions and get this stick together! Hope to post some pictures of the finished product after the weekend! 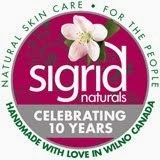 ps...don't forget about our fabulous giveaway! You can win a lovely little gnome house with gnome and a peacock blue playsilk. The giveaway closes on Tuesday Nov 30th. You can enter once daily. 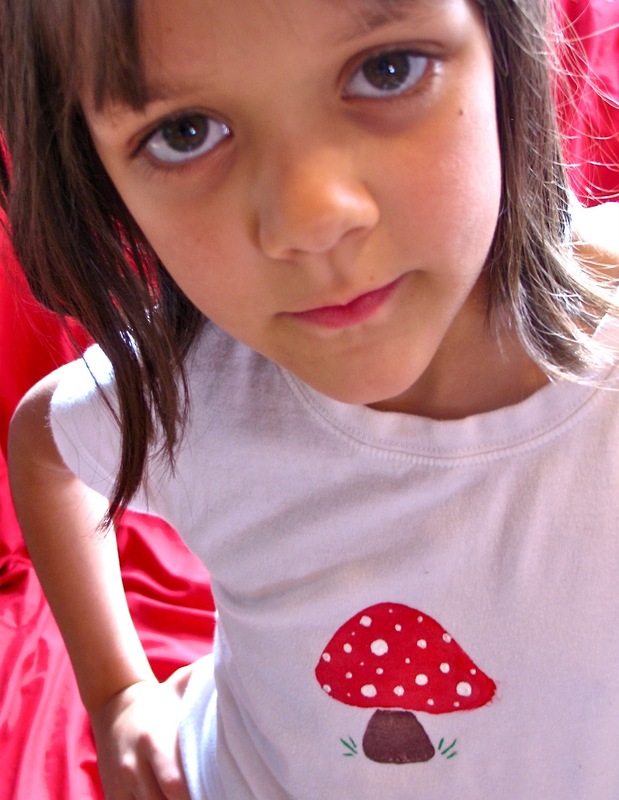 Please just tell us what your favourite item in our shop is. We're also offering 15% off of everything in our store until December 8th. Just type in the discount code "toadstool"! 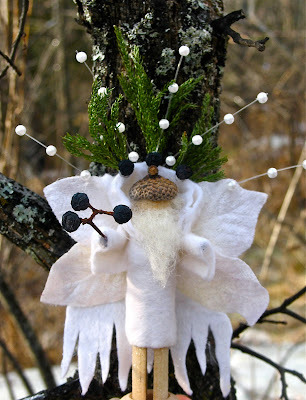 With winter solstice less than a month away, I decided to craft up a Fairy Winter Queen to spread her sparkle over our winter nature table! and of course ~ some sparkle if you like! With your glue gun ~ glue down the sides and the sleeve bottoms. and slide the body in. 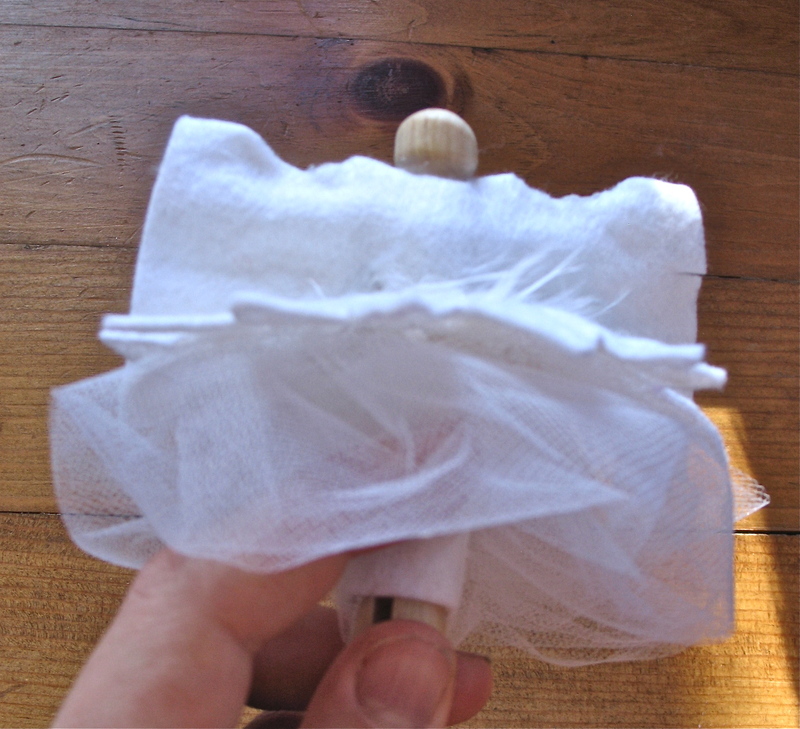 The tule part is tricky (I ended up burning my fingers a couple times) basically you put some glue under the skirt at the top, gather your tule in folds and press down into the glue ~ trick I finally figured out ~ use something other than your fingers to push the tule into the glue ~ ouch! Cut the petals off your flower and glue them in twos onto the back of your fairy. 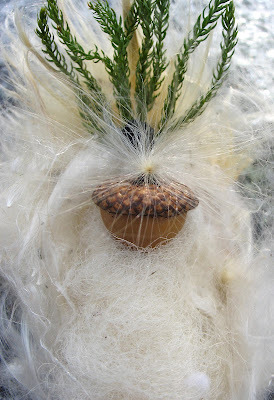 Glue on your roving for hair and then your acorn top hat. 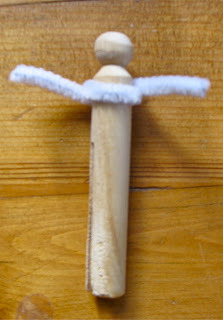 Then cut your feather to fit around the waist and glue it together in the back. King winter (is now done!) is in the works.... will share him soon too. 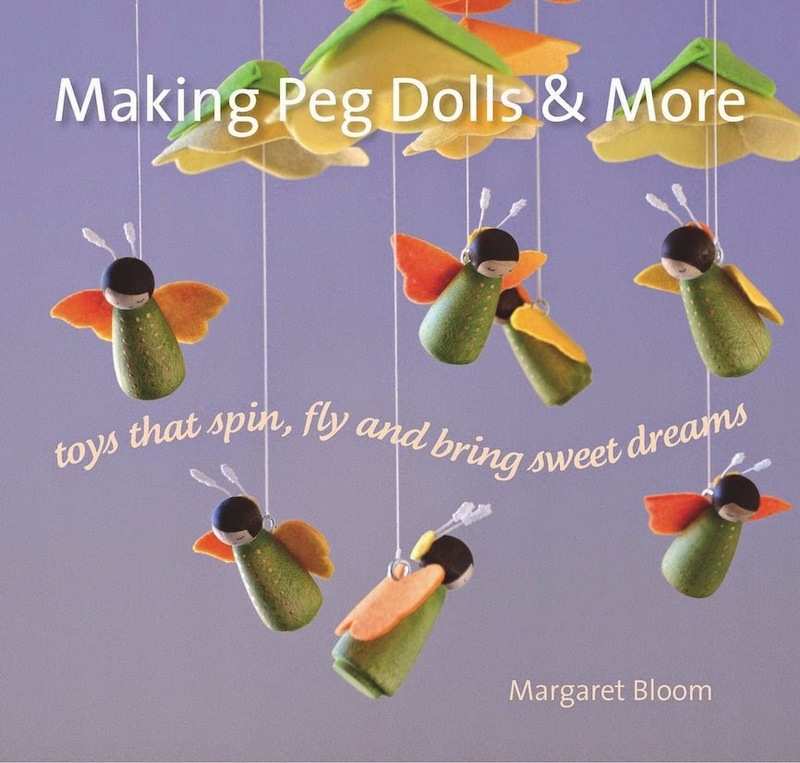 Also wanted to mention... these little dolls your kids can actually play with (unlike many of my other fae inspired creatures). She turned out quite sturdy and ready for little hands. 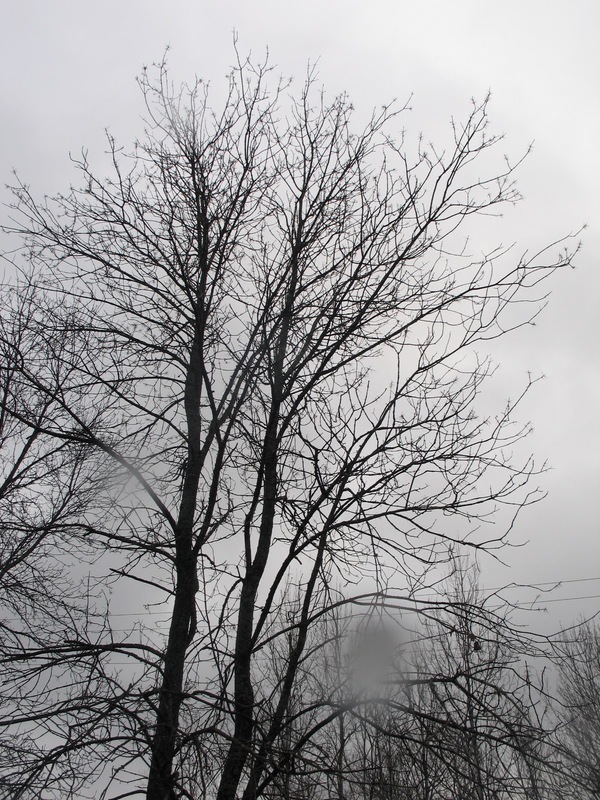 November is one of those months that evokes the need for some soul food. Soup is one of my comfort soul foods ~ especially on a cold dreary day like today. 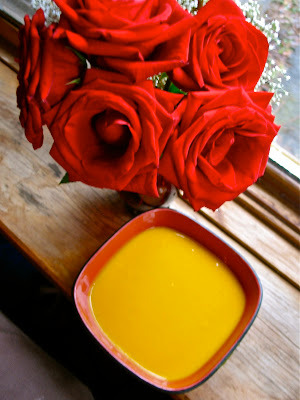 Here's a simple sunshine soup recipe to warm the spirit ~ a rich velvet goodness! 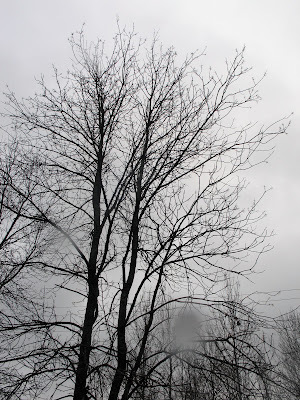 This photo taken today in my back yard ~ believe it or not this is a color photo! 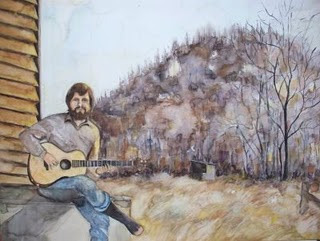 A painting of my father done by my talented sister. Roses too, always remind me of him ~ many, many years ago when I was twelve, he bet me a dozen roses I would marry my buddy Schroeder. I giggled at his prediction and thought he was so silly ~ turns out he was right. Two years after he died I did marry that boy. He knew and I know smiles down with an "I told you so"! To begin roast your butternut squash (cut in half and seeds taken out) and sweet potatoes (whole and pricked with a fork) at 350 for about an hour (basically until soft). Peel your nugget of ginger and grate it into a blender or food processor. Peel skins off your cooked (and hopefully somewhat cooled) squash and sweet potatoes and add in with your ginger. Blend in batches with coconut milk and enough broth until you have a smooth blend. Place it all together in a pot. Sit down with someone you love and enjoy the "sunshine"! I love soup and am always on the look out for new recipes to feed my clan. Turns out the soup was a BIG HIT with my girls ~ which is always a victory in my home! In honor of a man that shared so much sunshine. This past Sunday my Knitty Gritty Friend and I hosted our third craft class together. Can you guess from the cut up blocks what we were making? Tree blocks!! We used apple limbs from Stephanie's pruned apple trees. I was going to cut them all myself, until the chop saw kicked back on me...thankfully the helpful men in our life cut them up on our behalf. 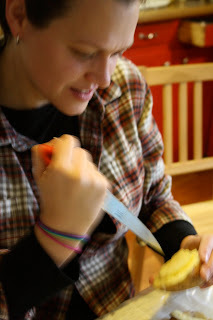 I took on the fun task of making beeswax polish...it's super easy to whip up a batch. Grate your beeswax and then put it in a pot with olive oil. 4 cups olive oil to 1 cup beeswax. Then pour it into jars. After picking out their blocks, the ladies heading outside to use the belt sander on my porch! One of the moms said this was the "BEST" class so far because of the belt sander. It was so much fun to see the ladies out there. We sewed up sweet drawstring bags and let the ladies make potato print stamps to stamp on them. Here is our crafty friend making a print of a skull, (yay for punk rock mamas)! Here is mrs Knitty Gritty's lovely owl. And here are the finished treeblocks...I love the effect of sanding off some of the bark...the grain underneath is just magical! After applying the beeswax polish, the blocks need to sit for at least 2 hours to absorb the wax...everyone was sent home with their own buffing cloth, to give the blocks a shine! What a beautiful gift to put under the Christmas tree this year. It makes me smile to think of the lucky little kids in our neck of the woods! Clearing Clutter In Sisterhood Swap Style! I recently picked up the book The Happiness Project (thanks to Maureen for the great suggestion) and became inspired to face the habit of clutter in my life . Time to begin the great PURGE! 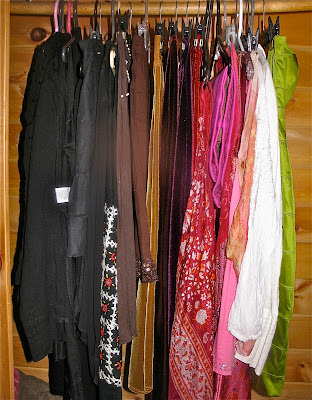 As daunting as the task may be I decided to start right at the heart of my clutter addiction... my closet! Time to bid farewell to clothes that no longer fit, clothes past their prime, clothes I have nothing to wear with, clothes I hang onto for someday and clothes that are merely there for sentimental reasons. This big of a purge had the potential to have me second guessing my ability to let go of clothes I still liked... so I decided to pour myself a glass of wine, call my soul sister out west for a chat and go for it. It worked! While talking I was distracted enough that each piece I picked up it was just a gut feeling I had to follow... yay or nay? Soon I had full garbage bags, a lighter feeling and a cleansed closet! 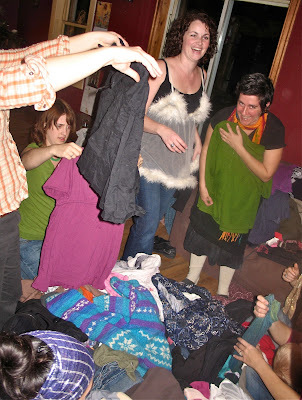 Then I decided to invite all my wonderful and wild girlfriends for one of our annual clothing swaps. 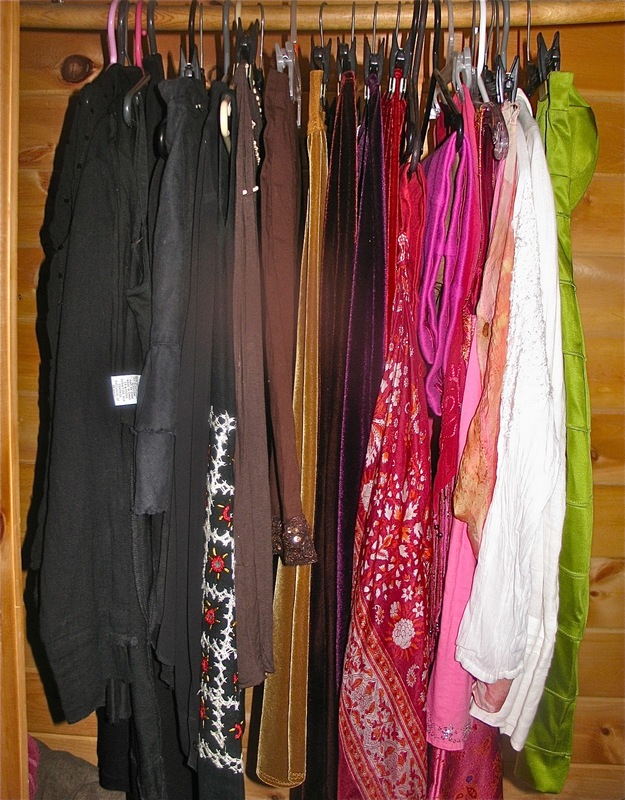 Usually once per season, one of the women in our community hosts a clothing swap. A gathering where we all bring bags of our no longer needed clothes ~ we dump them in a huge pile in the center of the room and we DIVE IN! It is always a blast ~ full of laughter, throwing off clothes to try on new ones, stories of the journeys our clothes being shared have taken, a potluck feast and most of all a real sense of community. The women leave blessed with new pieces for their wardrobe, a full heart and a reminder of the womanly love that surrounds them. Swaps are a great way to recycle your clothes, freshen up your wardrobe or just plain have an excuse to have a gathering with your girlfriends! Here's to less is really more and the sweet sisterhood of swapping. 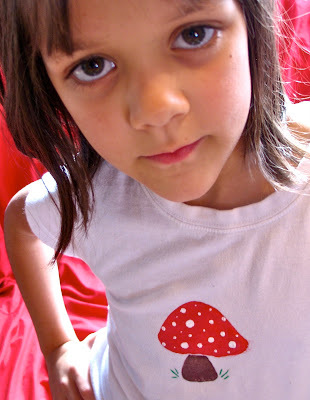 Today I am doing a creative guest spot over at Ucreate with kids. 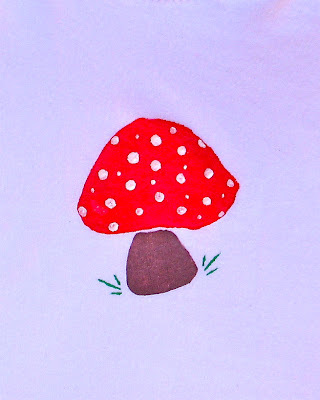 Come on over and check out how to make these these simple and sweet toadstool prints. 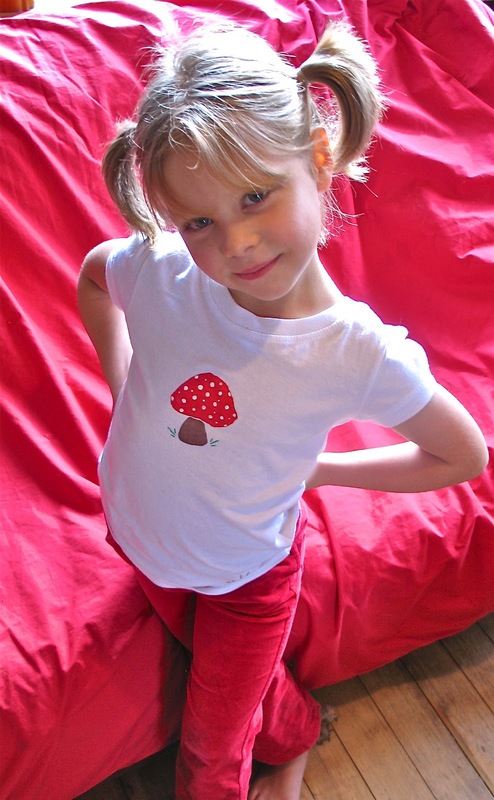 Also wanted to mention that we have launched our Twig & Toadstool online store!!! 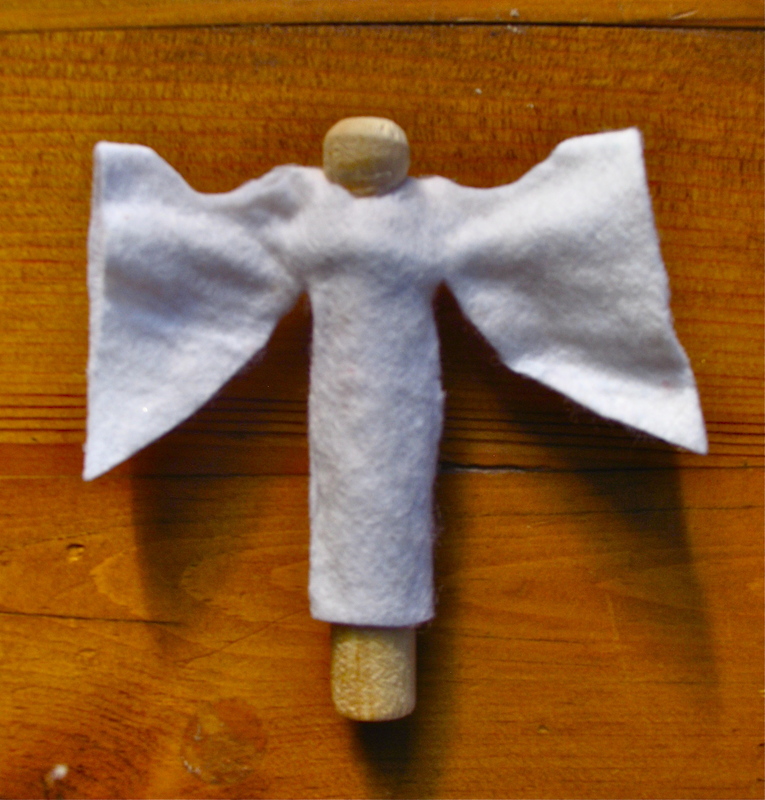 Our online space to sell high quality art supplies (wool felt, beeswax crayons...), wooden toys, one of a kind hand made pieces, play silks, seasonal beeswax candles ~ with an ever growing selection... Exciting times! May you have a joy~filled day! Day of The Dead/All Souls Day Celebrations!